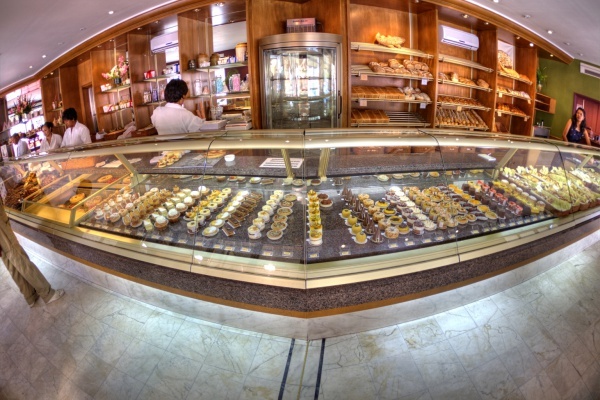 Pâtisserie Colbert is a bakery in Antananarivo which sells bread, baguettes, fresh croissants, pastries, ice cream and other sweets including fine chocolate from the Chocolaterie Colbert. The pâtisserie includes a sit-down area with coffee tables on the ground floor and a tea salon for up to 50 guests on the upper-floor, which can be rented for special events. Pâtisserie Colbert is part of Hotel Colbert and is located next to the hotel's main entrance. Opening hours are between 6.30am and 7pm. This page was last modified on 6 September 2016, at 00:02.